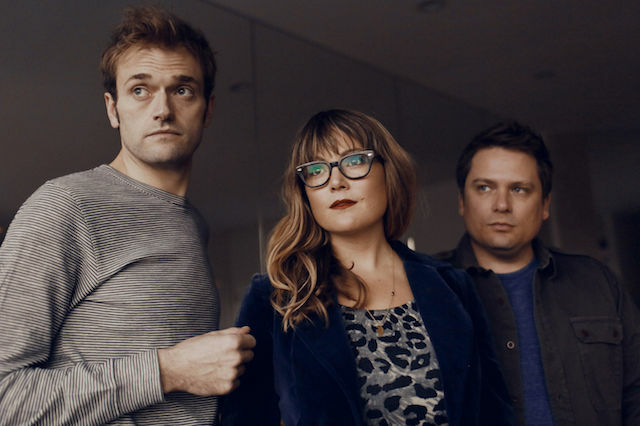 The Grammy Award–winning, multi-platinum selling trio Nickel Creek—Chris Thile (mandolin/vocals), Sara Watkins (fiddle/vocals), and Sean Watkins (guitar/vocals) — is to officially reunite for the first time since its 2007 self-described “indefinite hiatus”. The band has announced a US tour kicking off in April, and made available a sneak peek at the album track “Destination” below. The album will be formally announced shortly. Nickel Creek has an intuition for showing how different genres are more related than most people think…The group makes music with the songcraft and emotional frequencies of alternative rock — New York Times. The band members always explored their own solo work as well as collaborations, which they were able to pursue more fully during their hiatus, and will continue to do. Among other recordings, Thile has released three albums and an EP with his band Punch Brothers, with whom he also was featured on the T Bone Burnett–produced soundtrack for Joel and Ethan Coen’s Inside Llewyn Davis; a set of tradition-upending interpretations of bluegrass classics with guitarist Michael Daves, Sleep With One Eye Open; a solo disc entitled Bach Partitas and Sonatas, Vol.1; a record of duets with his mentor, bassist Edgar Meyer; and the Grammy-winning Goat Rodeo Sessions album with cellist Yo-Yo Ma, violinist Stuart Duncan, and Meyer. He also toured with the jazz pianist Brad Mehldau and performed his mandolin concerto, Ad astra per alas porci, with several chamber orchestras around the United States. Additionally, he was named a MacArthur Fellow in 2012—a recipient of its prestigious “Genius Grant.” He brought his Bach Partitas and Sonatas, Vol.1 solo show to the Sydney Festival, the Mono Foma Festival and the Melbourne Arts Centre last month. Sara Watkins and her brother Sean have, for years, held an informal residency at the L.A. club Largo: the Watkins Family Hour often includes surprise cameos from friends and colleagues. Nonesuch released Sara Watkins, produced by John Paul Jones, in 2009. In the three years between it and her second record, Sun Midnight Sun, Watkins toured the world both as a solo artist and as guest fiddle player/vocalist with the Decemberists and joined Garrison Keillor on his nationwide Summer Love performance tours; she also was Keillor’s first and only guest host for A Prairie Home Companion broadcasts. She recently opened for, and played with, Jackson Browne on a worldwide tour—joined by Sean. Since the hiatus, Sean Watkins has formed the acoustic folk/pop band Fiction Family (alongside Jon Foreman of the band Switchfoot), co-writing as well as co-producing two records, Fiction Family (2009) and Reunion (2013). During that time, he also assembled the eight-member Americana super-group WPA (Greg Leisz, Benmont Tench, Pete Thomas, Davey Faragher, Glen Philips, Luke Bulla, and Sara Watkins) and co-produced its self-titled record, WPA. The band then toured extensively in support of the album. In early 2014, Watkins will release All I Do Is Lie, his first solo record in eight years.